Banco di Sardegna - is a Joint-Stock company that finds its origins in the late history of the Island. Currently it has 347 operating banks, 346 of which are in Sardinia, 2.300 employees and 550.000 clients. It belongs to the BPER Group, one of the most important banking group in Italy, present in 18 of the Italian regions with 1.300 offices. 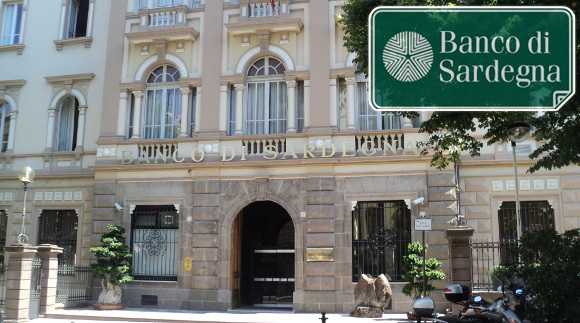 Banco di Sardegna has carried out a decennial partnership that has strengthened over the years. Dinamo and Banco di Sardegna are an heritage of the city of Sassari and of the entire Sardinian Island which must be preserved and secured. 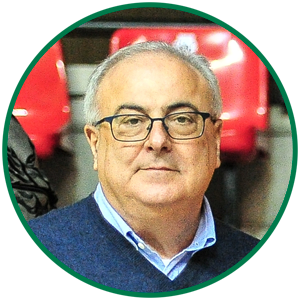 Sport passion and attention to the community, cornerstones of a system that has created important synergies between the Sardinian excellences and the sponsors. «Perhaps Dinamo Sassari, for the speed and the characteristics of its setting could have characterized itself as a “phenomenon”. Today we are a reality. We had to take into consideration that after the ‘triplete’ (the win of three titles in a row) a new phase would have started; probably the hardest one: of maturation and consciousness. Enthusiasm and hunger of success are not enough anymore, now we need to think and act as the Italian Champions. Everyone is looking at the records that Dinamo has set and acknowledges, as we did before, that success is obtained, yes with good investments that will help consolidate the project, but also with a tight organization and with a close support.». Not a simple provincial reality, revelation of the year: when dreams come true and concrete. How? «Dinamo is a reality that, in the same year in Italy, has won everything. It has won the games that matter: we had heavy losses, but in the right time we were able to win again. However nothing comes out of the blue. A “triplete” is won when there is a combination of different elements: humility a rewarding factor; hard work from everyone, not only the team; great deal of dedication; the quality of the people, not only the roster and the staff, which is obvious, but also of all the supporters which are a fundamental component of this team; great motivation; close sponsors and a well organized society. When all this factors have a common target, then you can reach the successes, as Dinamo has shown us. In tough times we have been tougher and the court has payed us back.». «The culmination of the White n’ Blue cycle was expected to be in 2018 with the win of the “scudetto”, which was won, instead, in 2015 with the Supercoppa and the Coppa Italia. On one hand, we had to be aware that the above mentioned cycle would not have been repeated again in the next year, but on the other hand we have to consider that Dinamo has now joined, with flying colors, the Olympus of the Italian Basketball. We need to recognize also, that changing a great deal of players, how often happens, would mean to spend some time to fine tune them.». «We must remember that in the though times that we had, the supporters and the city have represented the sixth man in the court. In our arena, the players were able to play with energies that often appeared to be unexpected. Our supporters were able to make the players feel at ease while shooting, allowing the team to keep high realizations percentages. Our ace in the sleeve? The tranquility. The absence of pressure on who is supposed to win the game at all costs. This is the way it should be done.». «Everyone has a different way of showing hers/his disapproval. Negative comments shouldn't be self limited or destructive. A constructive criticism is fundamental. It allows us to continue to work together, defending the “scudetto” with pride and strength that are can be expressed only when we stand together. The sportsman has to be patient, whether the things go right or wrong. Love and passion for Dinamo have to go beyond mere criticism and have to go beyond anything that doesn't allow constructive progress.». What does Dinamo Banco di Sardegna represent? 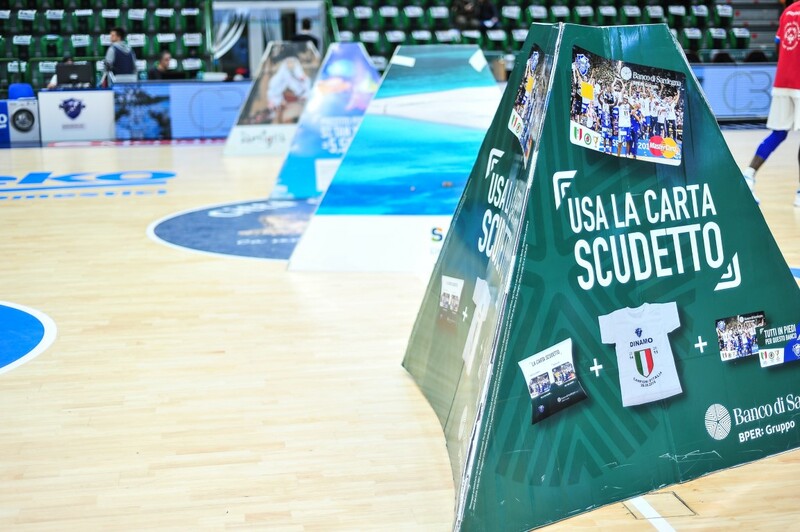 «Getting inspirations from bigger foreign realities, such as Barcelona and Real Madrid, Sassari has shifted from being a simple basketball team to being a reality beyond the sport world. It has become an business that gives jobs to dozens of people, generating a consistent income. It’s a reality that is frequently cited for its ability to pair sport with attention to social events, school or to the formation. Its a basin of aggregation among young and families, in and out the arena. Just, take in consideration the Dinamo Clubhouse which has quickly become a checkpoint for all the supporters. It’s a powerful engine that is pushing the growth of the city. Dinamo was able to attract more than 100 sponsors, excellences from the both the island and the mainland. This is not just simple luck. This is the product of a longterm planning that has made Dinamo Sardinian Ambassador, in Italy and in Europe. This means to be more than a game.». «For this reason, when we analyze what Dinamo has achieved we have to project these achievements to what Dinamo represents. As a club, it stands on the solid ground of hard work which is carried out with passion and professionalism. The team and the club, now a single identity, have to be supported and appreciated because of what they do and because of what they represent to Sardinia in a moment in which the island needs to export its excellences. Regardless of the particular moment, I believe that Dinamo is engaged in a virtuous project. Project that we want and we should support, because it would be a shame not to be able to carry it on. The supporters have to be again a rewarding factor: 5000 people which cheer and back the team up.». Dinamo and Banco, the relation continues..
«We have been the main sponsor for more than 25 years. Now its not to be considered a simple sponsorship anymore, it is an actual partnership, with common goals on numerous projects and initiatives that overlook the mere commercial aspect. Dinamo stands to Sardinia as Banco di Sardegna stands to Sardinia, they are two identities that have to be considered heritage of the city and of the Island, and as such heritage they have to be safeguarded. We financially support the club and in return the club advertises us generating a positive income that gives a meaning to our project. As a sponsor, we act as sponsor, meaning that we don’t influence the sport choices or in general any other type of choice. Everyone, feels to urge to act as the president or the coach, we don’t. We stand on our own field of competence as it should be.». «Dinamo has built a functional network around itself. Said network is also able to interface the different businesses that sponsor the team and being this businesses the excellences of the Island, this synergy is able to create a positive commercial income. It started as a sport related fact, that has gained momentum, affecting other fields such as the social one and all the activities related to it. For example fundraising that unites us and gathers us for numerous manifestations of different kind. There are a series of circumstances that make this network of intent, important. Main one is the sport event and the context: we are living a period of deep crisis and being able to unplug for a couple of hours from the life, to go watch a game with the families and to relax, cheering for your own team and living their successes, is something that really does help.».